If you have a jailbroken/rooted Apple iPhone of one of the many Google Android and have been using apps to essentially "steal" wireless tethering services between your phone and your notebook or tablet computer, your days of "free" service are almost over. AT&T and now Verizon are putting technology in place on their networks that allows them to sniff out people who are tethering devices like laptops, typically over Wi-Fi or Bluetooth, to their smartphone's data plan as a sort of wireless modem to get on the Internet. 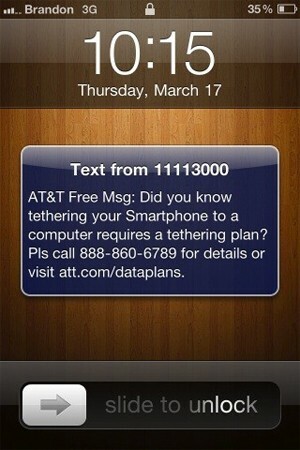 Both AT&T and Verizon required you to subscribe to an additional service before you can tether another device to your phone. 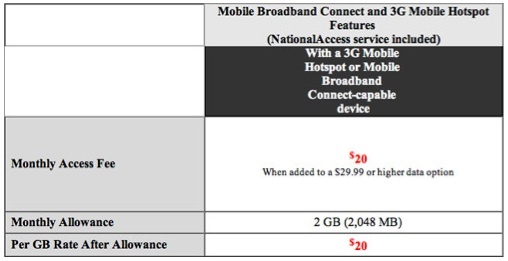 I may not be a fan of the prices that are charged to tether or setup your smartphone as a mobile Wi-Fi hot spot, but I like the idea of people stealing bandwidth and driving up the cost of my smartphone data plans even less.